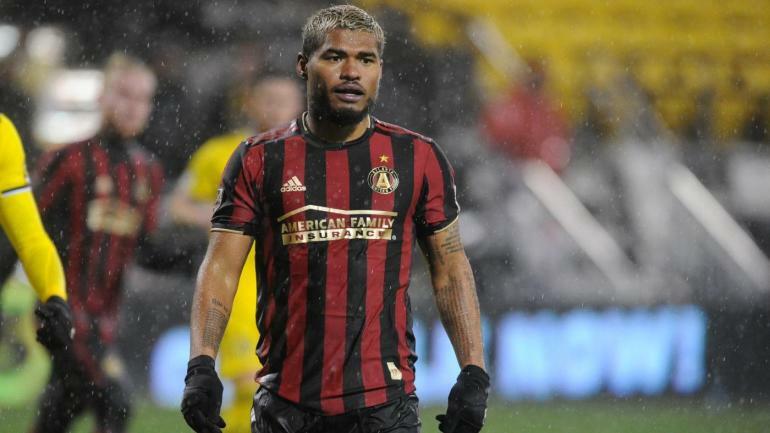 Talent isn’t everything — just look at the Atlanta United roster. The reigning champs are 0-2-2 with two goals scored in four games. Under Frank de Boer, the club has looked far from last year’s championship form. Not having Miguel Almiron obviously changes things, but this has to be getting frustrating. The team is doing a quality job creating opportunities but when it comes time to finishing up top, they are simply swinging and missing. They are already eight points back of a playoff spot and have to figure this out soon before it gets away from them. Can Cincy get in LAFC’s way? FC Cincinnati has been a a surprise so far in MLS with a 2-2-2 record and eight points. This team would be the fifth seed in the Eastern Conference if the playoffs started today. Kenney Saeif has been a big reason why, coming in and making an impact with his creativity. On loan from Anderlecht, Saief as quickly adjusted to playing in MLS and has already earned quite the role with his new club. But Saturday is going to be quite the challenge. LAFC has been the top team in MLS and is looking like the strong favorite to win it all come season’s end. The defense is improved and Carlos Vela is the best player in the league at the moment. Safe to say this will be quite the measuring stick for Cincy. Sporting Kansas City turned the page after getting demolished in the semifinals of the CONCACAF Champions League against Monterrey, but it doesn’t get much easier with a tough test against the Red Bulls, who are reeling but still capable of doing damage. After scoring seven against Montreal on March 30, Sporting has one goal in its last two MLS games. They’ll have a more comfortable two-game stretch coming up against San Jose and New England, but the Red Bulls are a hungry team that just haven’t been able to put it together with a three-game losing streak. On paper, these are two contenders that haven’t looked super sharp to begin the season. Who can take advantage here and build some momentum after a rough patch?